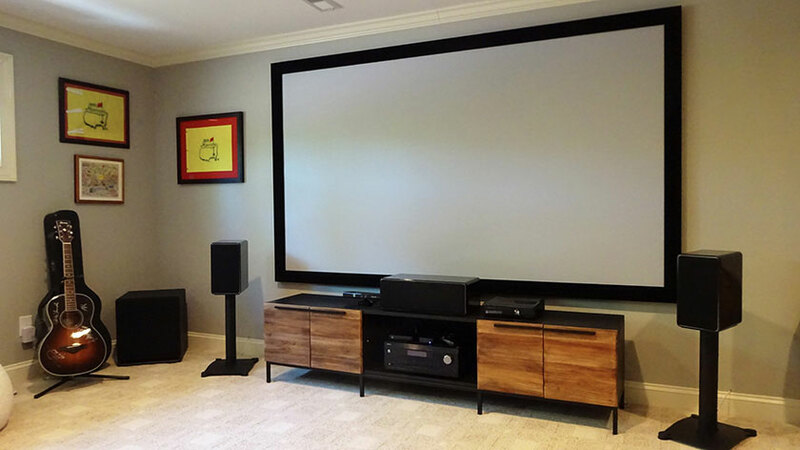 Here’s a movie cinema we installed using Episode 700 Series speakers. Below is a list of speakers, AV components and parts we installed in this cinema. We started with mounting the 120 inch projector screen. 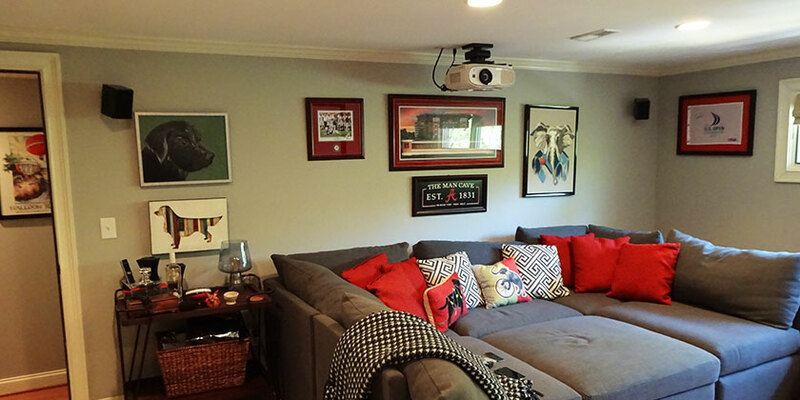 Once our client was happy with the screen location, we calculated where the projector and speakers would be placed. 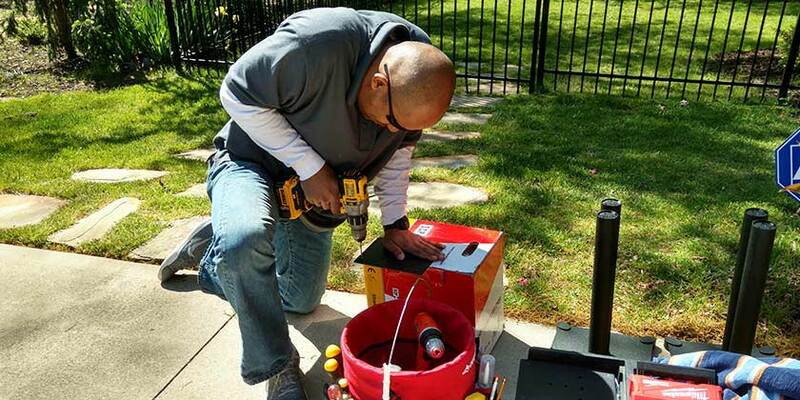 We wired the 5 speaker locations with premium in-wall rated 14 gauge speaker wire. Subwoofer was wired with a single coaxial cable. A receptacle was added in the attic to power to the projector. The projector was wired with a premium 40ft HDMI that connects to the Integra receiver. Apple TV and Xbox HDMIs are wired to the receiver with 3ft cables. 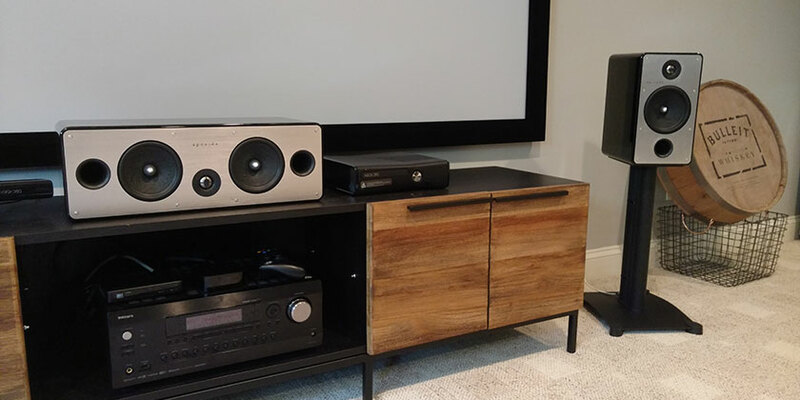 Two major benefits of using the AV receiver for video switching is ease of use and limits the amount of long HDMIs pulled to the TV/projector. For this cinema, the center speaker placement was low to accommodate the large screen. For good sound quality the front 3 speakers should be on the same listening plain as close to ear level position as possible. We used 22in Sanus SF (Steel Foundation) Series speaker stands for the front left and right speakers. 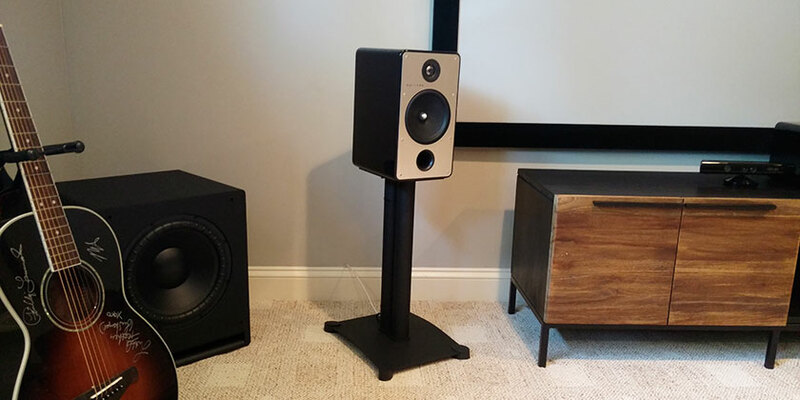 The base plate on both stands were customized to mate perfectly to the Episode bookshelf speakers. Short speaker stands were chosen to keep the sound on axis and directed to ear level while sitting on the couch. At this point, all of the wires were in place. The projector was mounted to the ceiling and cables connected. Then we aligned the projector to the screen for a crisp picture. After the projector was up and running, we installed and connected all of the speakers. We then plugged in the tuning microphone and tuned the system for optimal sound. To finish everything up and make the system easy to use. We programmed installed and programmed a Harmony Elite remote to take the place of 4 other remotes. For a movie cinema on a budget. This man cave turned out great. Clients were happy with the 1080p picture, detailed sound and ease of use.